Looking for a cocktail that is different from all those classics that you've tried? Looking for one that is easy-to-make, tastes great and only requires a handful of ingredients? 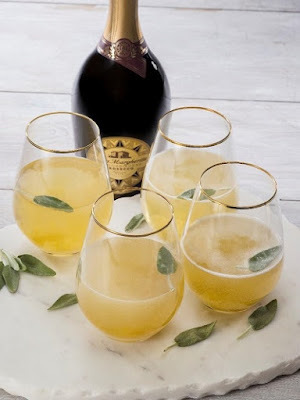 If so, you're going to appreciate our guest-post recipe that's courtesy of Santa Margherita Prosecco. It will make 8-10 servings. Place a few pieces of the cooked pear into each stemless wine glass followed by 2 tbsp. of the simple syrup. 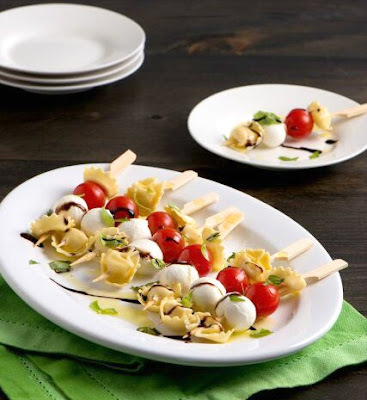 Add Santa Margherita Prosecco Superiore DOCG and serve immediately. Enjoy!!! Enjoy snacking on popcorn? Tired of the same old, same old flavors? If so, you're going to love our guest post recipe from the great folks over at Popcorn.org. This recipe combines some really unique flavors together to give you a totally awesome snacking experience. The recipe will make approximately 4 quartz. I think it would be the perfect snack to whip up for a Superbowl Sunday party or other sporting event. 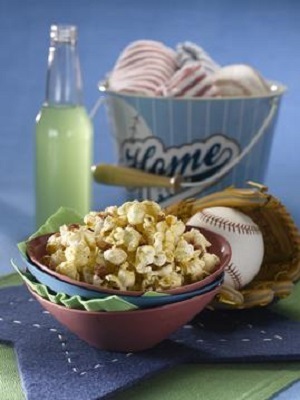 Place popcorn in a large serving bowl. Place butter in a small bowl and melt in microwave, about 20 seconds. Stir liquid smoke into butter. Pour butter mixture over popcorn and toss to distribute evenly. Sprinkle bacon bits, Parmesan cheese and salt over popcorn. Toss and serve immediately.